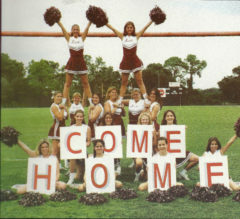 We encourage anyone working on a class reunion to contact us so that we can post the information here on our website. Following the event we would love to receive photos to share on the website and in our alumni publications. Please remember to keep us up to date with your contact information. Got Interesting News to Share? We would also love photos and interesting news about yourselves to share with fellow classmates in our Alumni Bridge newsletter. Information provided may also be shared on our Facebook page and/or other publications. Interested in Giving Back to Your High School? There are lots of ways to help, click on the following link: “Support Us“.